Crested guinea pigs conform to the Self colours, but have a crest or rosette on their forehead. Self Crested guinea pigs have a crest the same colour as their body colour, whereas American Crested have a crest that is a different colour to their body colour, commonly a white crest on a solid coloured body. The crested gene is dominant to non-crested, so that a smooth guinea pig bred from a crested parent cannot be a crested carrier. Due to selective breeding most breeds also have a crested counterpart e.g. Agouti, Himalayan, Roan and Dalmatian. A Crested mated with a Sheltie is how the Coronet breed was created. The coronet is a relatively new breed, first recognised in the early 1970s. 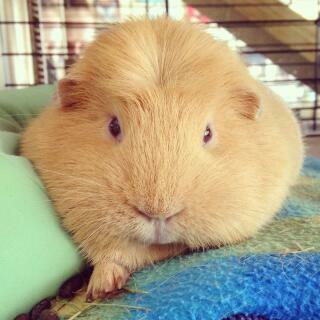 I have a crested guinea pig. And he is very friendly and cuddly. 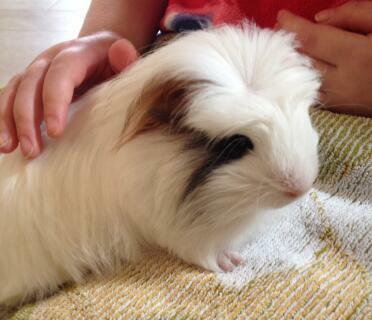 Crested guinea pigs love to play and like some attention. he loves to play in the garden and eat some grass. 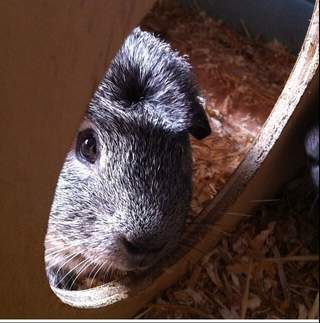 As i said crested guinea pigs are very very friendly. I recommend buying one. But they can be hard to find. We have a created and he is LOVELY. He lives outside and loves his food. He is very friendly and loves to have a stroke on his crest. 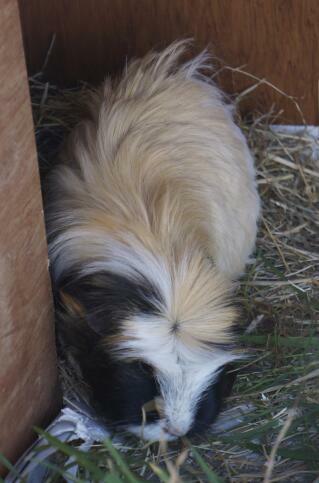 A very nice type of guineapig as i had had 3 and all have been very cuddely. 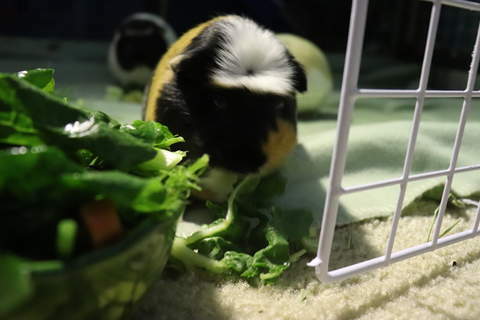 Right now my guinea-pig(Splodgy) likes to sit on mt sholder and is completly potty-trained. 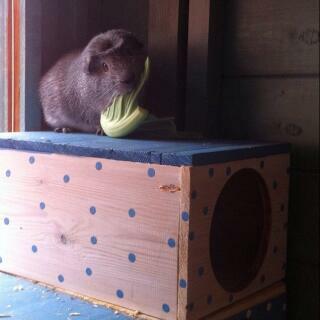 I would suggest a crested for a first pet, first guneapig, or for any reason. If you get a crested then I suggest you get anuther one or play with with him/her 2 times a day.